Kinetrol's AP pneumatic positioner combines the smoothness and accuracy of Kinetrol’s proven mechanical positioner technology (using a proportional spool valve driven by a simple, accurate and robust force balance mechanism) with new advances in convenience and simplicity of use, derived from the unique innovative design both of the internal mechanism and of the overall package. The AP positioner is designed to drive a rotary or linear actuator to a position set by a 3-15 psi (0.2-1.0 bar) signal and hold it there until the signal changes. When a signal pressure is applied to the diaphragm it moves the force balance lever clockwise against the tension of the feedback spring. This moves the spool valve, supplying air pressure to one side of the actuator while exhausting trapped air from the other side. The feedback shaft follows the movement of the actuator and turns the cam counter clockwise, pushing the cam follower and increasing the tension on the feedback spring until it balances the force on the diaphragm and moves the spool valve to its central ‘hold’ position. The relationship between the input signal and desired position (the ‘characteristic’) is determined by the cam profile. A linear 3-15 psi (0.2 - 1.0 bar) signal / 0-90° output movement cam is standard. Split range, fast opening, equal percentage or customized characteristic cams are available. See the brochure below for detailed information and illustrations. For more information, contact Kinetrol USA at http://www.kinetrolusa.com or call 972-447-9443. A valve positioner is an instrument attached to a valve to ensure the valve is at a desired position of opening or closing as per the control signal. Positioners sense the valve position through a position feedback mechanism connected to valve stem. There are many types of valve positioners. Some utilizing pneumatic signals (referred to as pneumatic positioners) and some using electrical current as the signal (referred to as electro-pneumatic positioners). Many manufacturers stake claim over design and performance enhancements, but one pneumatic positioner stands out because of its elegant design. The Kinetrol AP Positioner. 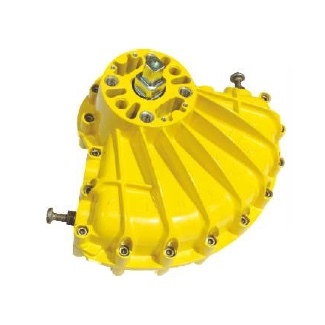 The AP pneumatic positioner combines the smoothness and accuracy of Kinetrol’s proven mechanical positioner technology (using a proportional spool valve driven by a simple, accurate and robust force balance mechanism) with new advances in convenience and simplicity of use, derived from the unique innovative design both of the internal mechanism and of the overall package. The result is a positioner with unparalleled performance and real industrial robustness, sweet and easy to calibrate and characterize, and adaptable to the whole range of applications with its unbeatable list of options – high flow valves, direct mount or industry standard discrete mount housings, 4-20mA angle retransmit, limit switches, Clear Cone position monitor and I/P convertors (either simple or with various explosion proof options). ENCLOSURE – robust die-cast metal with tough corrosion-resistant epoxy coating and O-ring sealing. Layout gives easy access to all adjustments on removal of lid. LID – shown with optional Clear Cone sealed angle monitor. Epoxy coated die–cast metal held on by four captive screws gives quick access to the interior. CARRIER PLATE ASSEMBLIES – integrated assemblies carrying the feedback shaft and cam plus angle retransmit drive and pot (when specified). Easily removed for conversion or maintenance. OPTIONAL ANGLE RETRANSMIT CIRCUIT – externally powered (8–30v DC) linear 4-20mA feedback, rangable down to 30º for full 4-20mA span. Easily accessible zero and span adjustment. 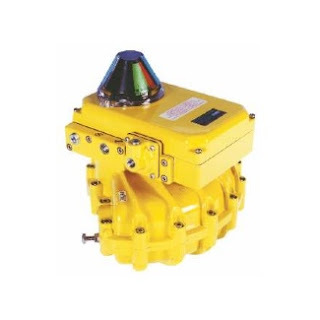 ACTUATOR INTERFACE – options include NAMUR standard (shown), Kinetrol male square or Kinetrol direct mount female square. Quick external conversion allows bracket mounting to any rotary or linear actuator. INTERCHANGEABLE PORT PLATES – easily convertible for different flowrate options. SPAN ADJUSTMENT – quick and easy thumbwheel setting with slotted locking screw. ZERO ADJUSTMENT – quick and easy thumbwheel setting with slotted locking screw. STRAIGHT–LINE MECHANISM – unique geometry allows cw/ccw change over by simple cam inversion. FEEDBACK SHAFT – innovative collet connection permits quick– fit/release of the actuator interface and eliminates backlash. 3–TERMINAL DIN PLUG – retrofit-able option available for 4-20mA angle retransmit. Allows fully external connection with rapid connect/disconnect capability. UNIT IDENTIFICATION – each positioner carries a unique serial number and is CE marked. 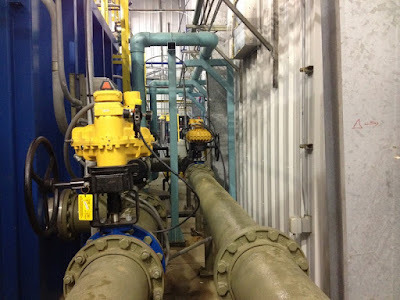 A Kinetrol USA Western Distributor was told by a water treatment plant operator that two 10" Pratt butterfly valves with cylinder actuators were not working reliably. The valves were okay, but the pneumatic cylinders were a maintenance nightmare. Not only did they introduce far too much hysteresis (slop) in the actuator-to-valve movement, but they also leaked air, and in the winter time had to have a heater placed next to them to keep the cylinders from sticking. The cylinder seals were so poor moisture would penetrate the cylinder and freeze, rendering the actuator unresponsive. An experienced, application savvy Distributor came to the water treatment plant's rescue. After looking at the application the Sales Engineer specified new butterfly valves and Kinetrol Model 14 double acting actuators, manual gear overrides, AP positioners with I/P, ULS limit switches, angle retransmit, and point-of-use filters. He knew the Kinetrol actuators would not only eliminate the constant maintenance, but also provide much tighter control. After 1 year of continuous service, the actuators have performed flawlessly without any downtime. The maintenance crew at the water treatment plant are so pleased they plan on standardizing. 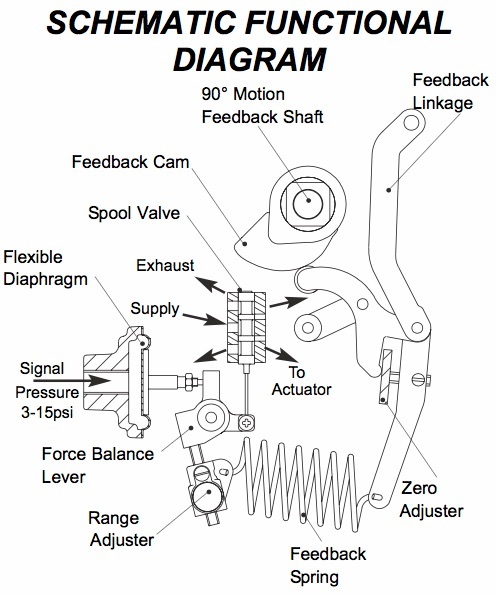 Kinetrol Actuators. Field Tested. Application Driven. Kinetrol actuators on butterfly valves for water treatment plant.